Larry Mitchell, fresh out of college and back on the farm, was building fence when the phone rang. His father answered, listened for a minute, said he’d be right back. Got a call, he told his son, some farmers want you to represent them at a parity march in Washington, D.C.
Mitchell just shook his head. Tell them I’m busy building fence, I don’t have time for that. His father headed back to the house. A few minutes later he returned. You go on up to the house and call her, he said. She’s madder than a hornet. Mitchell went back to the house and called her. He arrived in Washington, D.C. on March 5, 1985, the first of seven trips he would make that year. It was a heady experience for a Texas farm boy. Across the nation the farm crisis was reaching critical mass but here were thousands of farmers just like him marching to the very halls of Congress to demand reform and justice. The protests were a grassroots outpouring of Thoreau’s civil disobedience, We the People made manifest, and their legacy, both individual and collective, was one and the same—progressive farmers working to keep farmers on the land. And in it were planted the seeds of his future career. Larry Mitchell is Administrator of the USDA GIPSA and is responsible for a variety of programs that facilitate the marketing of livestock, poultry, meat, cereals, oilseeds, and related agricultural products, and to promote fair and competitive trading practices for the overall benefit of consumers and American agriculture. 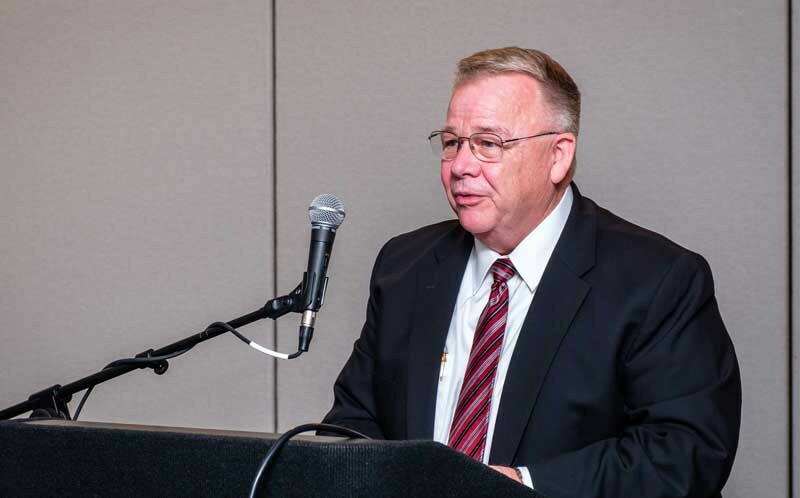 Mitchell, currently Administrator of the USDA’s Grain Inspection, Packers and Stockyards Administration (GIPSA), reminisced about his past in a presentation entitled “Reflections of a Plowboy in Purgatory on the Potomac” during the Kansas Farmers Union state convention in early December. The former plowboy is now responsible for programs that facilitate the marketing of livestock, poultry, meat, cereals, oilseeds and related agricultural products, and for promoting fair and competitive trading practices for the overall benefit of consumers and American agriculture. Markets serviced by GIPSA represent a total economic value of about $170 billion annually with exports contributing over $28.7 billion to the U.S. economy. 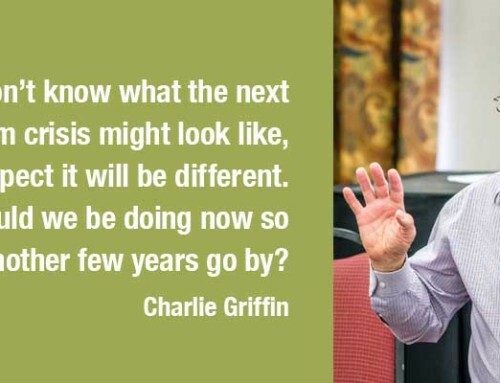 Prior to his current position he served as the Associate Director of the Office of Advocacy and Outreach at USDA, Deputy Administrator for Farm Programs of the Farm Service Agency (FSA), and Deputy Vice President at Commodity Credit Corporation. He has also served in private and nonprofit sectors as well as Vice President of Government Relations for the National Farmers Union. Were it not for a Texas banking crisis, he might have remained a farmer. Yet even before he was forced to seek outside employment, the farm crisis exploded, and farmers were pushing back. In McAllen, Texas, 230 farmers were caught on the bridge while protesting imported goods from Mexico that were labeled “Product of the United States.” The federales blocked the south end of the bridge, the McAllen police blocked the north end of the bridge, and the protesters were tear-gassed, beaten and thrown in jail. Two days later 2,500 farmers descended on the town of 4,000, demanding their release. It was a powder keg, Mitchell said. It was also the beginning of country-of-origin labeling. 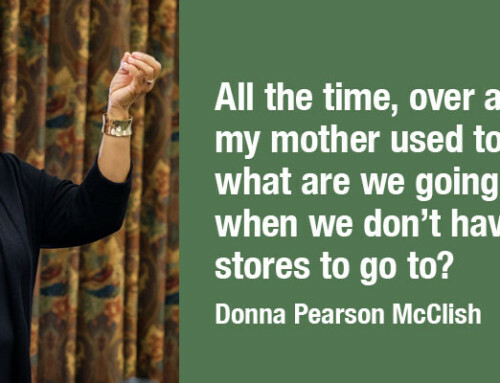 In Puxico, Mo., when a bankruptcy judge declared that soybeans stored in an elevator would be sold to pay expenses, 300 farmers showed up one morning and “liberated” the soybeans. The act was the beginning of warehouse indemnity programs, he said. 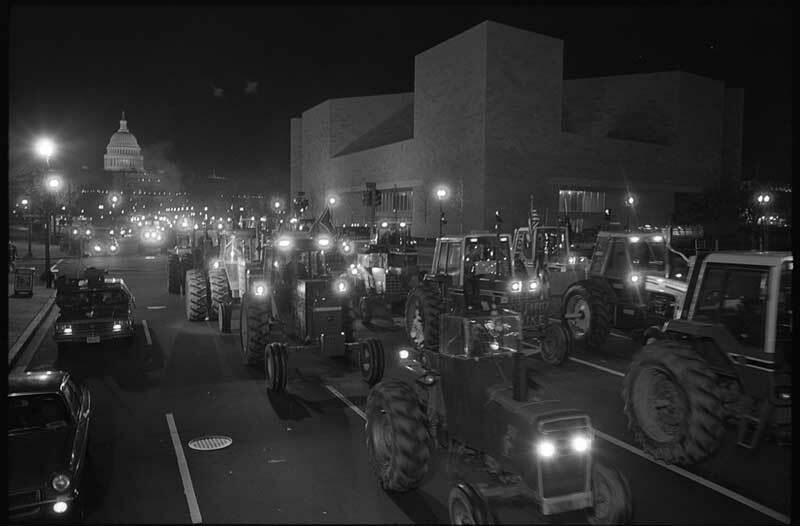 Tractors on Pennsylvania Avenue, DC in 1979, as part of the American Agriculture Movement Rally. The American agriculture movement was organic, estimated to have two-and-a-half million people involved from almost every organization in its earliest days, and it evolved quickly. After the first tractorcade to Washington, D.C., in 1978 failed to meet its objectives, a second tractorcade was planned for the following year. This one involved every major farm organization in the nation except one and a lot of their members were part of it, Mitchell said. Organizers laid out a map of the United States and marked off rally points at 100 mile intervals. The timing of their arrival in Washington, D.C., had to be planned around an average driving speed of 15 miles per hour, with farmers converging from almost every state in the union. And this was before cellphones or the Internet. In response, Congress opened the farm bill that the president had just signed. Three proposals came out of the Senate, one of which written by Bob Dole called for 100 percent parity loan rates for non-recourse loans. Dole was almost certain that the bill would fail as written. He told the farmers that he could get them 90 percent parity, but not 100 percent. The offer fell on deaf ears. It was 100 percent or nothing. The bill passed the Senate, passed the House by vote voice, and failed in a House recording vote. They got nothing. It was a lesson Mitchell never forgot. “You have to give a little to get a little,” he said. By the time the bank collapse took his farm, Mitchell had been organizing for the American Agriculture Movement (AAM) for a number of years in Washington, D.C., so advocacy work was a logical choice. But it was a bitter pill to swallow, and he took to it with the enthusiasm of one aggrieved. His family’s farming roots could be traced back to the 1600s in England, and that proud heritage came to an end in a Texas court. “I was the last,” he said. His recollections must be understood as his own perceptions of what he saw through the prism of whom he was working for at the time, he said. Concert t-shirt from the first Farm Aid. Farm Aid exploded on the scene in 1985. It was planned in six weeks, and so successful that it was apparent that it needed to continue. Afterward, organizers brought in representatives from every state to Arlington, Texas, where they underwent three days of intense facilitation training. “Then we all went back home and set up town hall meetings to help people figure out the problems, figure out the solutions, draft resolutions and elect delegates and alternates to the farm and ranch congress in St. Louis,” Mitchell said. From it came the National Family Farm Coalition, an organization that still exists today. Mitchell was instrumental in the creation of the American Corn Growers Association, of which he served as CEO for seven years, and some of his early successes included getting the Renewable Fuel Standard passed, a major class action lawsuit against the Chicago Board of Trade and the blocking of a pipeline. After leaving AAM, he was hired in 1994 by the National Farmers Union. The organization continues to be the leader in farm issues, he said. One of the biggest things to happen during his time there was the 1996 farm bill that followed the longest farm bill debate in U.S. history. National Farmers Union opposed the House committee’s proposed Ag Marketing Transition Act which would eliminate all farm programs and pay decreasing amounts of direct payment for seven years, demanding instead a bill based on profitability, sustainability, flexibility, directability, and accountability, he said. The bill was filibustered, the government shut down, and, eventually, the bill was vetoed by President Bill Clinton. When the farm bill became law on April 4, 1996, it signaled a major change in agricultural policy. Legislation included the continuation of the Conservation Reserve Program (CRP), the expansion of the Food Security Wheat Reserve to include rice, corn and sorghum, the authorization of the Environmental Quality Incentives Program (EQIP), the establishment of the Fund for Rural America, and provisions authorizing marketing quotas, marketing certificates, acreage allotments and parity-based support for wheat, feed grains, cotton and sugar, among others. Mitchell’s views of economics and democracy could be traced back to a book his father bought him from a flea market. 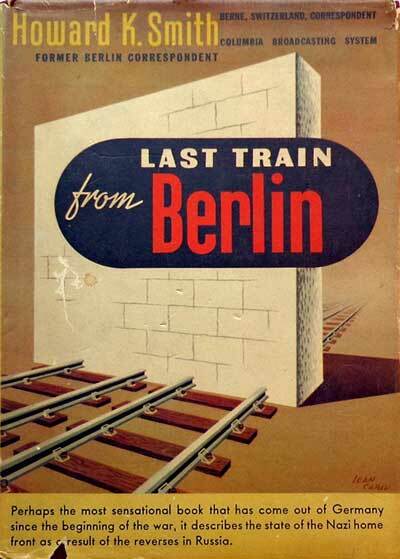 “Last Train From Berlin,” written by Howard K. Smith in 1942, told of leaving the city when Germany declared war on America. Along the way the author philosophized on the two sides of democracy, political and economic. The idea resonated with him, and his years of working both on the farm and in the government sector only reinforced the idea. The Kansas Farmers Union is the state’s oldest active general farm organization working to protect and enhance the economic interests and quality of life for family farmers, ranchers and rural communities. 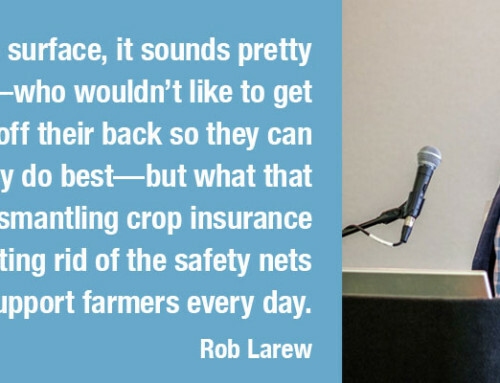 Sponsors for the convention included Midwest Regional Agency, Farmers Union Insurance and the Kansas Center for Sustainable Agriculture and Alternative Crops.